I just finished this bag. Isn't it lovely? And colorful? And bright? 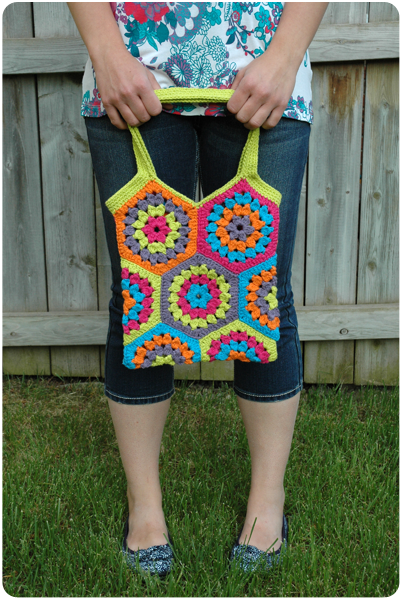 The pattern is from Lion Brand (Kitchen Cotton Hexagon Market Bag). Instead of Lion Brand Kitchen Cotton, I used Bernat Handicrafter Cotton (which I have an insane amount of). I wanted a bright, cheerful bag for summer.....and that is exactly what I got. 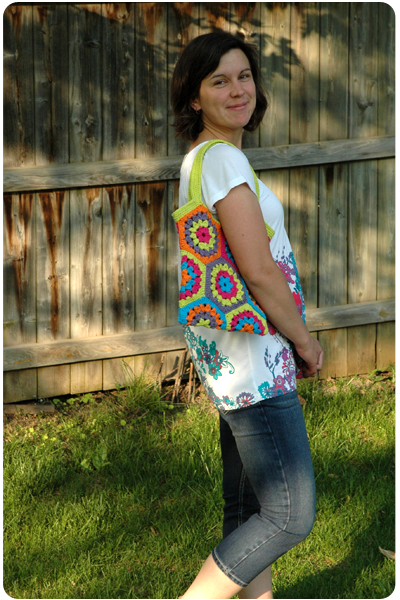 When I am at the Farmer's Market this summer you will see me coming from a mile away with my colorful granny square bag. What a pretty bag,who wouldn't love it!